Here are some plants that we have in stock at the Falling Water Gardens nursery. We think this selection would look great in your garden right now. Want to know more about these plants? Visit our plant database. These aristocratic, evergreen plants bring an architectural quality to the shady garden. 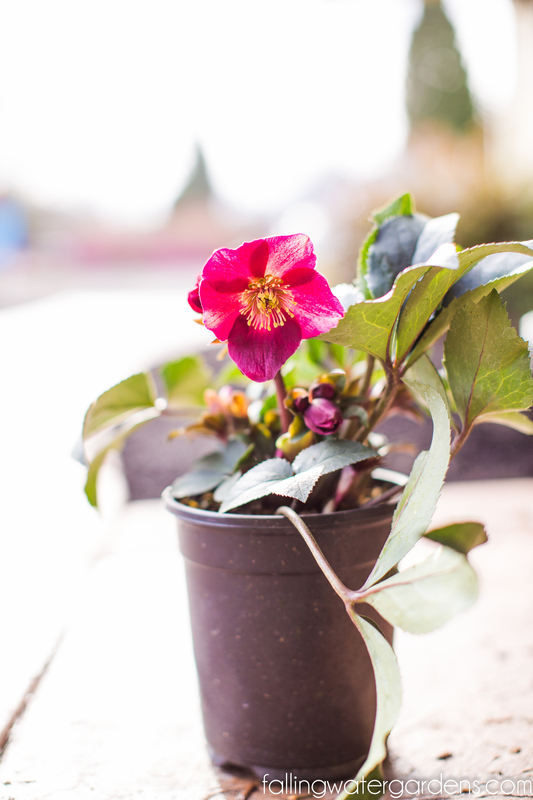 Most bloom in early winter in mild climates and in late winter or very early spring where the ground freezes hard. Resistant to both deer and voles, these plants are long-lived and provide exquisite blooms at a time when flowers are a scarce delight. 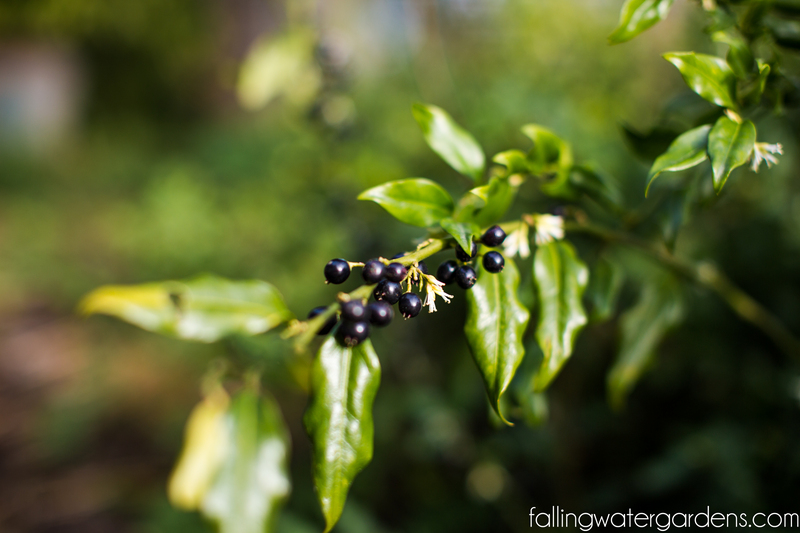 A beautiful shrub for shady areas! White spring flowers are small, but very fragrant. Blooms are followed by bright red ornamental fruit. Forms natural espalier against a wall. An outstanding choice for dry shade gardens where other plants won’t grow! Evergreen. Goshiki translates from Japanese as “five colors”. Its new leaves emerge red and quickly turn green. The green leaves are daubed with spots of creamy white, gray-green, and yellow-green. This lovely evergreen selection makes a great accent or hedge. 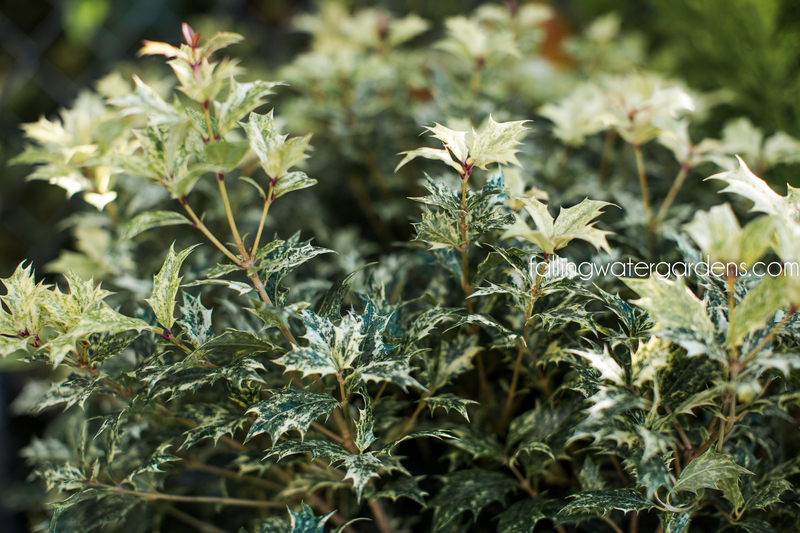 Very hardy shrub displays attractive foliage in all seasons. Intense red new growth and fall color is its hallmark. Ideal for use around foundations or in mixed borders. Small white flowers are a bonus. Virtually pest and disease free.